Time for another giveaway! :) One of my favorite go-to places whenever I need to relax and pamper myself, Nisce Skin 'n Face, has a Facebook contest this summer! ♥ Participants just need to upload/submit their "coolest" summer outfit and ask their friends to vote. Simple, right? 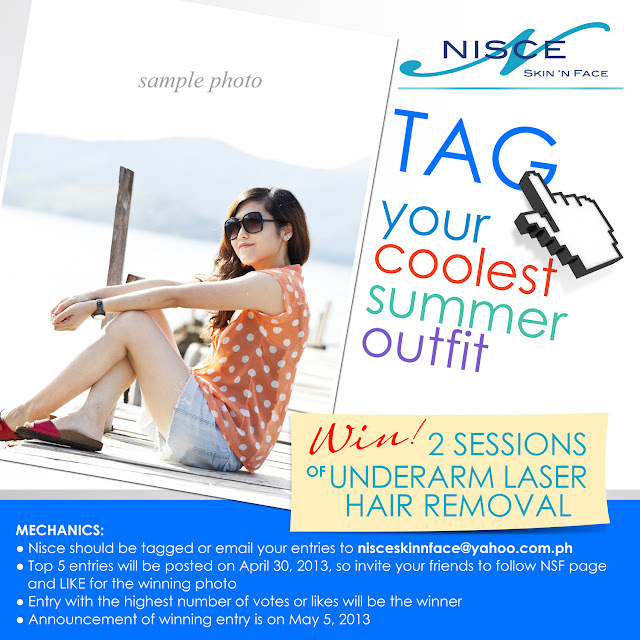 :) The winner will get two sessions of laser underarm hair removal!